Be part of Ramah Darom’s future and leave your mark! In 1997, our founders dreamed of a unique and extraordinary place where Jewish families throughout the Southeast could connect, learn and grow. Today, Ramah Darom offers exceptional experiences in Jewish living and learning year-round. As we celebrate our special community, we are constantly looking forward and we invite you to be part of our future. We offer a variety of naming opportunities and ways to leave your mark. 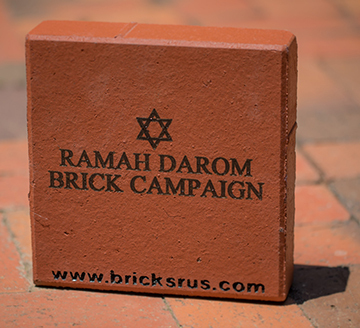 Celebrate your favorite camper, counselor or staff member, family milestones or memory by ordering a personalized laser-inscribed 8” x 8” paver which will be installed as a pathway at Ramah Darom’s picturesque campus. Pavers are $360 each; your purchase is 100% tax deductible. To purchase a brick or bricks, please complete this form. If you need help visualizing or drafting the text, click here for some examples. 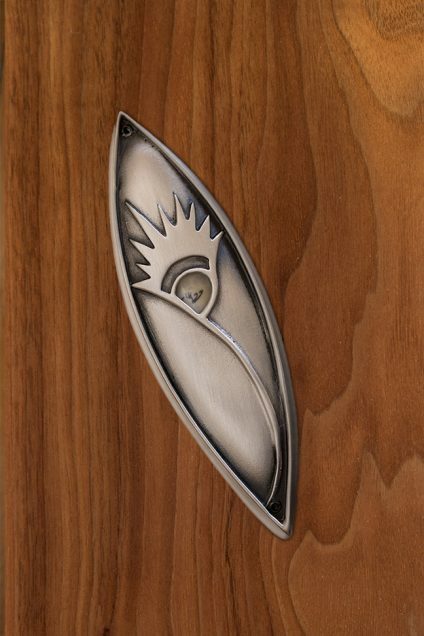 Leave your mark with this beautiful hand-crafted mezuzah, entitled “receiving light,” designed for Ramah Darom by artist Aimee Golant. For your donation of $1,800 a mezuzah will be installed on the doorpost of a building at Ramah Darom and a plaque with the donor names will be created. To donate a mezuzah, please fill out this form. Excellence in Jewish programming – in summer and year-round- is at the core of what we do. New programs are needed to stay relevant and competitive. Our NEW inclusive Tikvah program for teenagers with autism spectrum disorder (ASD) will be an engaging experience in a fully supportive environment where campers can build social skills, develop friendships and nurture their emerging Jewish identity. Our Tikvah House is designed especially for the needs of campers diagnosed with ASD or other social/communication disorders. Enhanced mountainside campus recreational facilities will include a basketball court and programming pavilion. A Lake House will provide changing space, needed storage for lake equipment and shelter from the elements. The new lodge for guest housing will provide a home for summer camp leadership and allow for expanded programming all year. At Ramah Darom, we know as the world changes, so do the needs of those we serve. We must grow and evolve to remain vibrant today, tomorrow, and for generations to come. The VISION 2020 Campaign will ensure that we continue to have a powerful impact on the future. 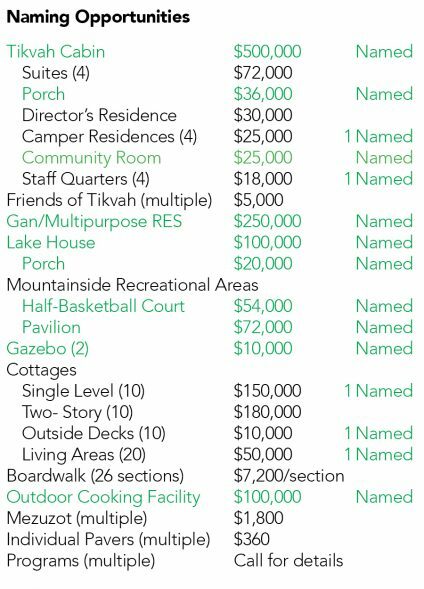 Our campaign is not just about building; it is about maintaining a premiere experience for our Ramah Darom family and investing in a Jewish future through enhanced programs and facilities. We invite you to leave your mark on the future of our evolving Jewish community by donating to our VISION 2020 Campaign today. Every gift, no matter the size, will make a difference.